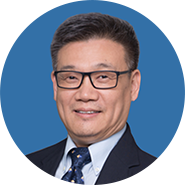 CEO of Hua Medicine (Shanghai) Ltd.
Dr. Li Chen, Founder, Executive Director, Chief Executive Officer, and Chief Scientific Officer. leads Hua Medicine a clinical stage biotech company whose mission is to bring personalized diabetes medicines to patients in China and worldwide. He is a pioneer in collaborative innovation in China and advanced Hua Medicine with an operation principle of high standards, high quality and create high value. Hua Medicine leverages global resources to develop GKA and completed 6 clinical studies in China and USA, in which the HMS5552, a novel GK PAM demonstrated desirable safety and efficacy profiles together with an improvement of beta cell function in Chinese T2DM patients. Under his leadership, Hua Medicine completed successfully a POC study and initiated China NDA enabling process. During this period, Hua Medicine raised 200M USD and established the leading position of Hua Medicine in China biotech industry.